Music is food for your soul, whether you’re listening to it, or learning to play it by hand. Enjoying it as a hobby can be just as fulfilling as pursuing it professionally – as long as you’re dedicated to your craft. Here are 5 places in Pune where you can sign up for music lessons. 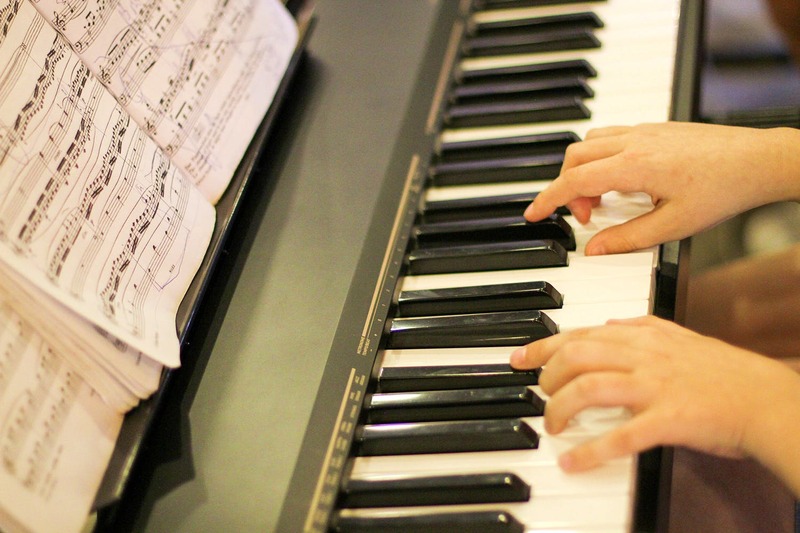 The Music Box is a professional music school, with two locations – Koregaon Park and Amanora. They offer personalised one-on-one training in violin, piano, flute, saxophone, drums, vocals, and guitar; with no age limit for students. Classes last around 40 – 45 minutes, once a week, and are term-based (one term is 3 months), with certification from Trinity College of Music, London. Those interested can even drop by The Music Box for a free demo, between 10 am – 7 pm every day (except Sunday). Taal Inc. started in 2014 by Varun Venkit, bringing the beat and rhythm of the West African djembe to Pune. The djembe classes here last around 8 – 10 weeks in total, and will cost you between INR 4,000 – 5,000 per module. A new batch starts every two months or so, and the upcoming new batch will start mid-June. The classes are held once a week on Sundays, from 10 am – 11 am at Taal Inc. in Baner. You don’t have to have any prior musical experience, just an open mind to learn! Djembes will be provided for, by Taal Inc. They also have an intensive 8-day long course on ‘Find Your Inner Rhythm’ in September, through which you can learn how to facilitate a drum circle, and heal through rhythm. Rockstar Music Academy in Wadgaonsheri offers professional training and classes for singing, guitar, keyboard, tabla, and harmonium. You can opt for classes twice a week (at approx INR 1500 per month), or four times a week (at approx INR 2500 per month) usually in evening batches. Both kids and adults can participate – age no bar. Once you start with the basics and work your way to an advanced level of training – you’ll get a certificate from them, on completion of your course. ‘My Guitar Academy’ is a music school franchise from Delhi, that holds weekend (Saturday and Sunday) classes for guitar-playing in Koregaon Park and Viman Nagar. This June, they will be starting a new batch of guitar classes and will teach you from a basic beginner level, so you need not have any prior musical experience. My Guitar Academy has also announced ‘meditative flute classes’ with renowned ‘dancing flute’ musician, Bikram Singh. My Guitar Academy also hosts singing classes, and guitar workshops with trained professional musicians – so keep an eye on their Facebook page for all the latest updates. Artsphere is a multi-purpose creative center in Kalyani Nagar, which plays host to a variety of genres across dance, music, martial arts, fitness, etc. Currently, they host guitar classes with Collective Strings, led by instructor Xavier Moktan. From an intro to guitar fundamentals, to more intermediate batches, these classes are open to all age groups. Timings are from 3.30 – 6.30 pm on Saturdays, and 5 pm – 7 pm on Sundays. That’s not all – Artsphere also hosts Hindustani Classical Vocal lessons, taught by Kuldeep Rawal – a professional musician with over 20 years of experience. Through this class, students will be able to learn how to modulate and ‘develop the tonal quality’ of their voices, along with training for the flute, tabla, and harmonium. This class is held on Sundays at Artsphere, from 11 am – 12 pm, and 12 pm – 1 pm.